With a new series of Britain and Ireland’s Next Top Model back on Sky Living, a scrapbook of press cuttings relating to the career of actress and model Stella Pierres in 1920s London and Paris provides a reminder of our enduring fascination with feminine beauty – as well as an indication of the lengths women will go to to achieve often unrealistic and ever changing ideals of face, form and figure. In an era of simplicity and vertical lines, the fashionable woman aspired to a boyish figure in the 1920s. One method of taming a ‘too ample’ chest was to wear a restrictive rubber brassiere; another was to massage in a manufactured reducing cream, apparently dangerous unless applied by a trained professional. Apart from cuttings pasted in from advice columns in contemporary newspapers and magazines, the scrapbook contains dozens of reports of beauty parades and revues, many with a competitive element which foreshadows the Next Top Model concept. For instance, the ‘Modern Venus’ competition of March 1924 attracted thousands of entries before thirty finalists were selected to travel to London to subject themselves to tape measures and close scrutiny at a West End cinema in order to ascertain how closely their figures approximated the dimensions of the Venus de Milo. 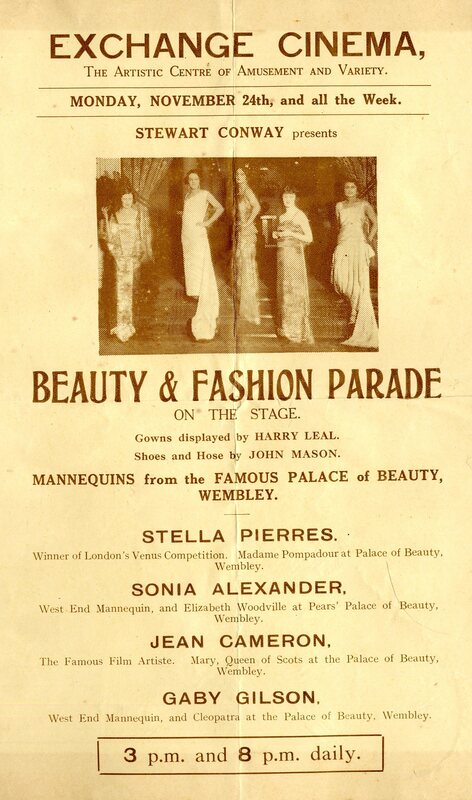 Winning this competition catapulted Stella Pierres into the spotlight and led to headline appearances at prestigious fashion parades (see flyers above and below) and high-profile events such as the Palace of Beauty, which took place at the British Empire Exhibition at Wembley in north London in 1924. In 2013, Next Top Model is sponsored by the hair products company TRESemmé; the fact that the Palace of Beauty was sponsored by Pears soap reminds us that commerce, cosmetics advertising and beauty ideals have long been closely inter-linked. With its instructions for how to play the Fool’s Delight, Streets and Alleys, the Jazz Band, the Star (illustrated at the foot of this post) and others, flicking through the pages of this book set me thinking about the tremendous changes in leisure practices brought about by technological innovations such as computer games, karaoke machines and the internet. In the twenty-first century, it is practically impossible to be bored, whether alone or in company. 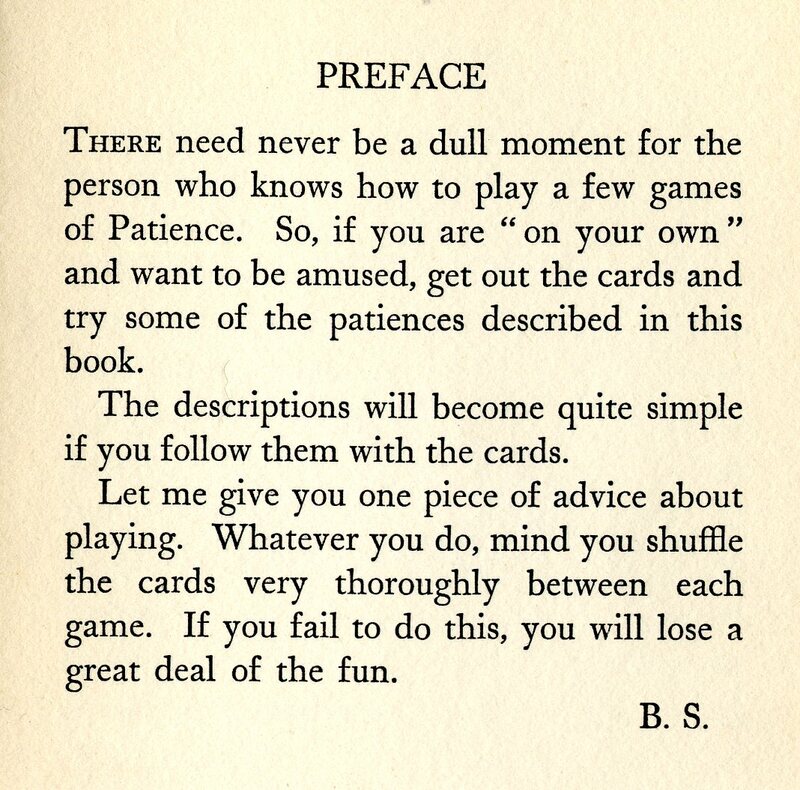 To get their social kicks, our parents, grandparents and great-grandparents had to be resourceful with bits of paper, sets of dice and ingenious games invented by companies like Universal Publications Limited, more usually known as UPL – the 1935 publishers of 40 Patience Games. 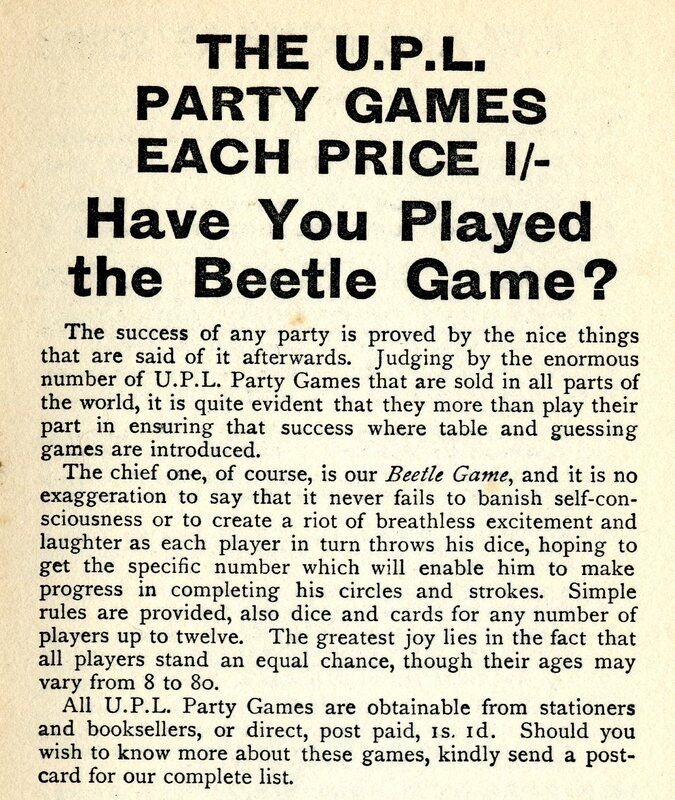 Established in 1932, UPL initially specialised in commissioning books of puzzles, card games and general works of amusement or light comedy such as the Humour of Drinking and Clerical Chuckles. In the post-war period, they began producing increasingly sophisticated games and resources (score-cards, props and so on) for an expanding leisure market. The company overturned the assumption that party games were for the parlour on a winter’s evening, designing a range of action and non-action games that could be played by two people or twenty, in homes, gardens, club houses or school grounds. 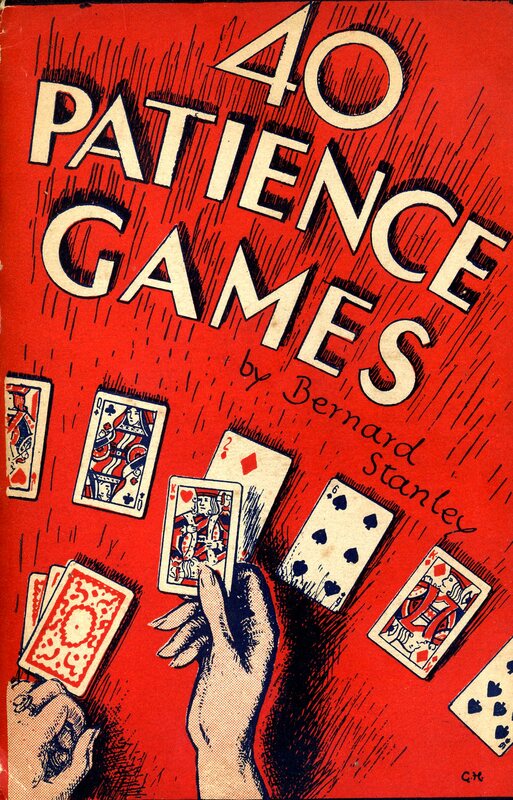 There were ‘introducing games’, ‘thawing games’ (today we would probably call them ice-breakers)and ‘table games’ with intriguing names such as Appointment with Fear, Bedlam, Railway Riot and Nothing But the Truth. Many of the games reflected contemporary obsessions, such as the 1940s Spot the Car Parts game illustrative of a growing national interest in, and familiarity with, the motor car. 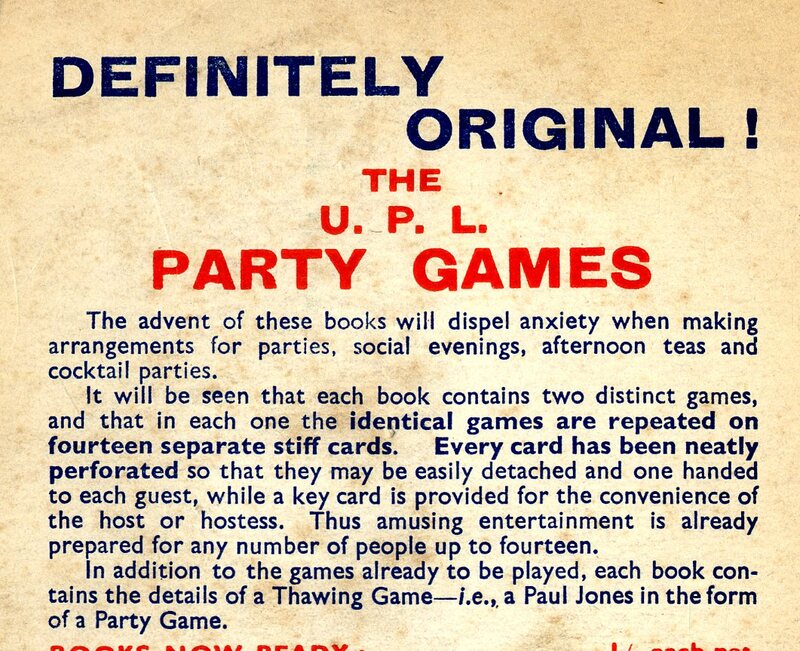 Promotional blurb on boxes and accompanying literature placed the accent on social anxieties and correct behaviours; at the same time, much was made of the ‘riotous fun’ to be had in the playing of UPL’s games. Two UPL products from the 1950s I particularly like are the ‘Here is Mr Beetle’ score cards for the competitive drawing and dice game of Beetle (the cards’ smart appearance was expected to bring ‘prestige to any BEETLE PARTY’) and the Crazy Post game, which was still popular in a revamped format in the 1960s. Crazy Post included eight cardboard posting boxes, each with four locations on the front. These were placed around the room or garden, if the weather was fine. 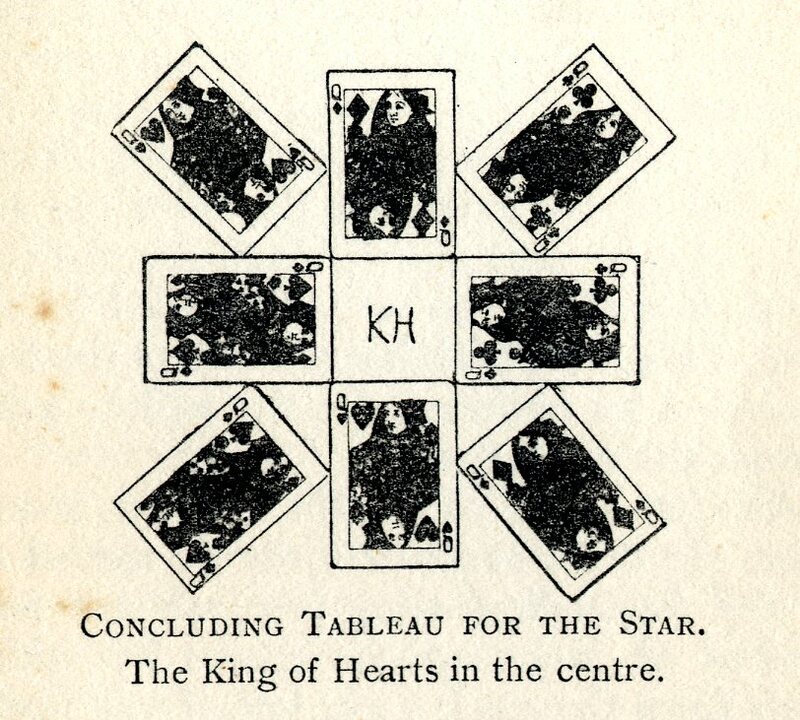 Players were given a personal number and received a letter to post from the host or master of ceremonies, with their number pencilled on the back. Once they had posted this letter, they were to race back to fetch another to post, then another, until all 380 letters had been posted. Players gained points for correctly-posted correspondence and lost points for incorrectly-posted correspondence. 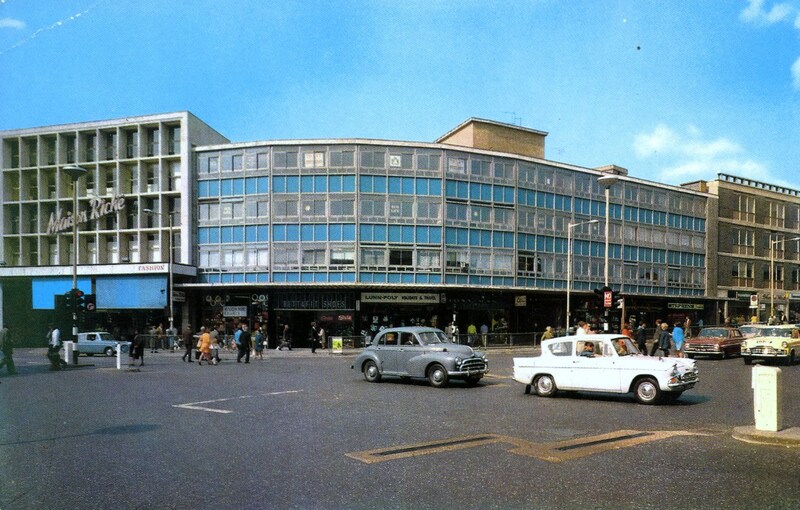 Town names of similar spelling such as Maldon and Malden and Hertford and Hereford were included to add to the competition, confusion and general mayhem. Imagining the crush and hilarity as the 1950s party guests dashed about with flushed faces, scrambling to post their letters in the right letter box at top speed has taken the edge off my enjoyment of Facebook Scrabble tonight.